A circus tent is being installed and a child looks on curiously. 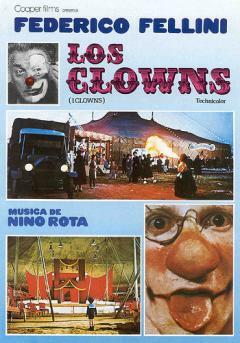 Clowns remind him of some real-life characters, including an energetic dwarf, “Cotechino”, the stationmaster, “Madonna”, who’s continuously quarrels with her colleagues, “Giudizie”, who’s going back to World War I…We then move on to the present day. 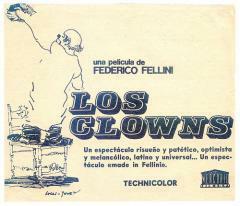 A television investigation is under way, and Fellini is looking for old clowns and is willing to listening to them telling him their memories. 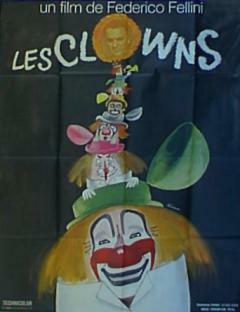 After visiting the “Liana Orfei” circus, Fellini and his crew go to Paris, where they interview Tristan Remy, a writer dealing mainly with clowning history. 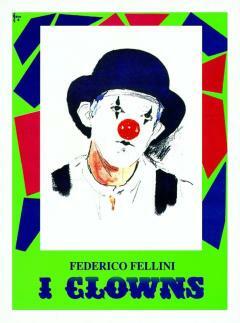 Fellini helps the writer track old clowns, namely the few survivors of a no longer existing world. The Director shoots their aged and sad faces. He owes them the joy they were capable of giving their audience. There is a bit of everything in these Clowns: Anita Ekberg’s feline appearances circus Orfei’s cages, and the whole of Fellini’s talent. The main elements of Fellini’s creativeness are all there, his sweet and nasty traits, his modesty, his affection, his credulity and skepticism. The film’s first part is charming. Here Fellini recalls his fascination for all people working in the circus and his being astonished by the deformed characters of the area he comes from. After La dolce vita, Fellini was apparently totally free to voice his doubts and anxieties and resorted to desperate and iridescent images. 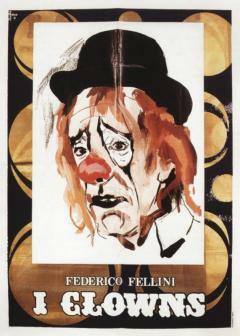 In The clowns Fellini succeeded in prevailing over film production’ constraints. He demonstrated he had nothing to lose, rather, he was able to accept and fulfill all the obligations arising from external needs and imperatives.